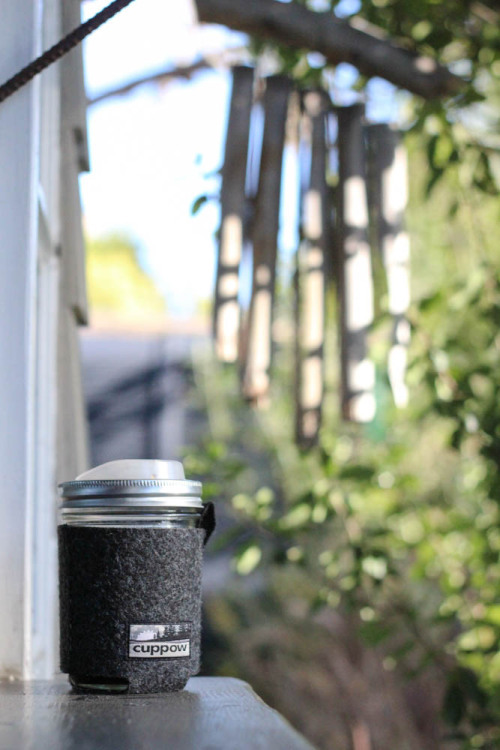 We found the perfect material, tested dozens of designs, and are excited to introduce our first mason jar coozie! 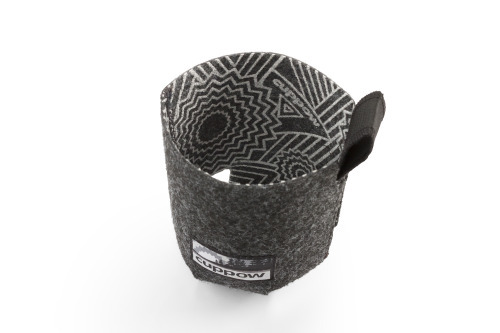 It’s 100% made in the USA using a unique material created from recycled plastic bottles that we call Pfelt. 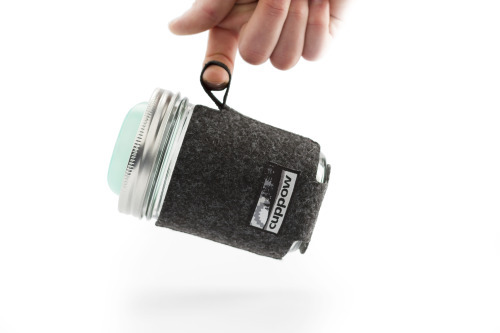 It’s durable, feels awesome in your hand, and insulates hot or cold beverages. 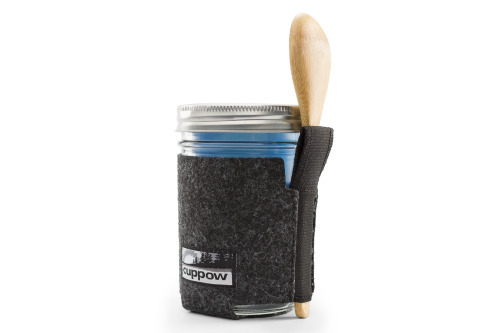 The Cuppow Jar Coozie features a textured screen printed pattern on the inside for a non-slip grip. A loop makes it easy to attach to the outside of your bag, or to carry with just a finger; horizontal stretch webbing allows you to easily store a reusable straw, fork, or spoon. Our new patch on the front reminds us of what we’re preserving. Pfelt is made from old plastic bottles for a reason: 51 billion PET (Plastic #1) bottles find their way into landfills every year. Plastic doesn’t break down, so every single bit of recycling we can do counts. It’s all part of our ongoing commitment to divert as much unnecessary waste from landfills as possible. By choosing products made from recycled materials, our lifestyles can have a lower impact on the world around us. We’re an American company and we support American jobs. 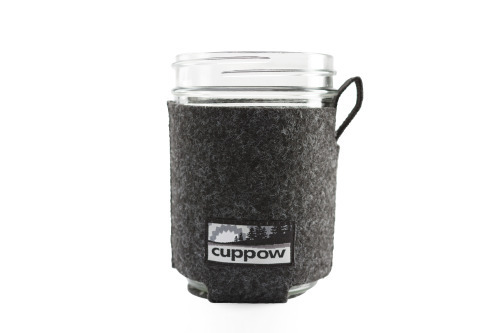 The Cuppow Jar Coozie is made in the USA by companies we believe in. 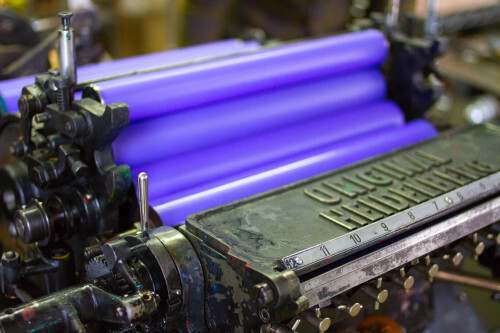 We see no point in making a sustainable product that’s shipped here from overseas. 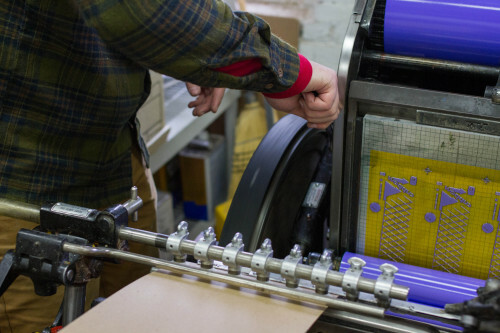 The Cuppow Jar Coozie packaging is letterpress printed on 100% recycled chip by Repeat Press in Somerville, MA. We stand behind all of our products and offer a lifetime warranty: if it ever rips, tears, breaks, or otherwise doesn’t perform, send it back so we can recycle your old one and give you a new one. 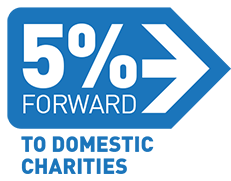 As always we’re proud commit 5% of our profits to domestic charities - we will be sharing more details on a special partnership soon! We’ve all seen lots of uses for mason jars, and most of us have at least one set. Just because we can’t have enough ways to repurpose these little guys, here’s a list of 10 more original and creative uses for the ubiquitous jars.